PSA now owns Opel factories such as this one in Eisenach, Germany, which builds the Opel Adam minicar. PSA Group's takeover of General Motors’ Opel and Vauxhall brands was a game-changer for Europe’s vehicle assembly footprint. The French-German automaker’s network includes 18 plants that stretch from Portugal in the west to Kaluga, Russia in the east. In the past, PSA had 12 factories and Opel/Vauxhall had six. With 18 plants PSA-Opel is now tied with Renault-Nissan for second place in the ranking. Volkswagen Group has the biggest network with 24 plants in Europe and Russia that produce vehicles from the VW Up minicar to the Bentley Bentayga ultraluxury SUV. How long PSA-Opel will remain tied for second place in the plant ranking is an open question. 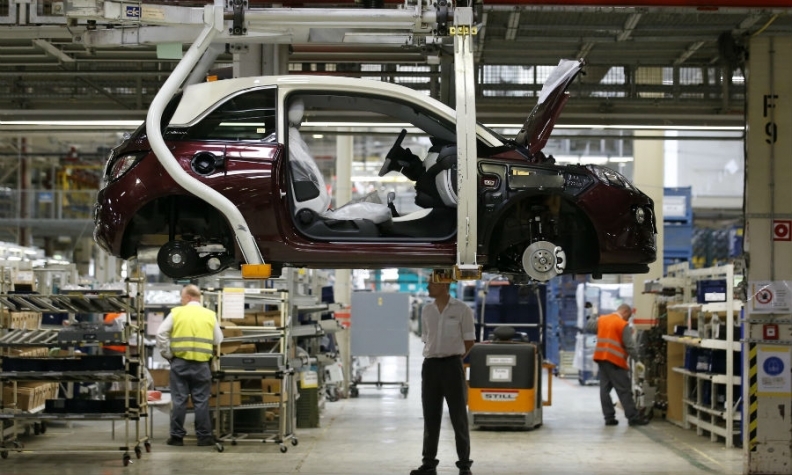 PSA plans to cut hundreds of jobs at one of the factories it inherited from GM, reducing production of the Opel/Vauxhall Astra to a single shift from two now in Ellesmere Port, England. Analysts believe that PSA could close up to three European plants by 2021-2022 to improve capacity utilization. Opel's factory in Eisenach, Germany, and PSA's factory in Villaverde, Spain, could be shut and their production moved to other PSA plants, experts says. There have been no major plant closings in Europe in the last three years because of the strong rebound in the region’s sales. That is in big contrast to 2009 to 2014 when Ford, Fiat, General Motors and PSA all closed European factories. This year’s map features the most current data available on nearly 150 plants, based on extensive research by Automotive News Europe. To find out about the vehicles made at these plants check out ANE’s interactive assembly plant map. Sponsored by Brembo, the map is the go-to resource to help stay on top of all of the changes. The data is continually updated to reflect the changes taking place at some of the most powerful automakers in the world.